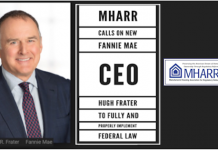 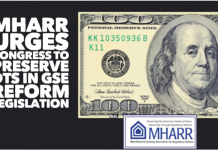 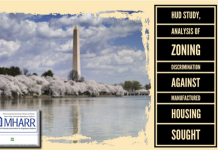 Washington, D.C., August 6, 2018 – The Manufactured Housing Association for Regulatory Reform (MHARR) reports that according to official statistics compiled on behalf of the U.S. Department of Housing and Urban Development (HUD), year-over-year manufactured housing industry production growth was sustained in June 2018. 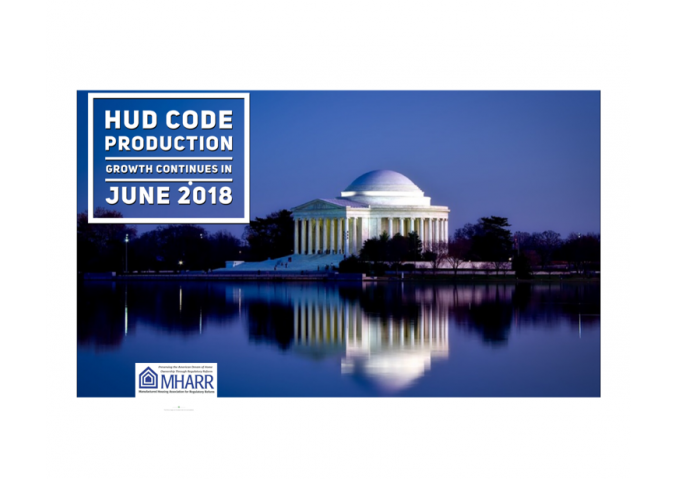 Just-released statistics indicate that HUD Code manufacturers produced 8,258 homes in June 2018, a 1.3% increase over the 8,152 HUD Code homes produced during June 2017. 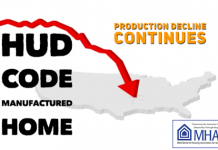 Cumulative industry production for 2018 now totals 50,897 homes, a 9.4% increase over the 46,502 HUD Code homes produced over the same period in 2017. 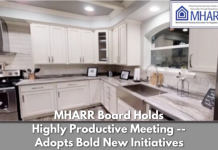 The latest information for June 2018 results in no changes to the cumulative top ten list.